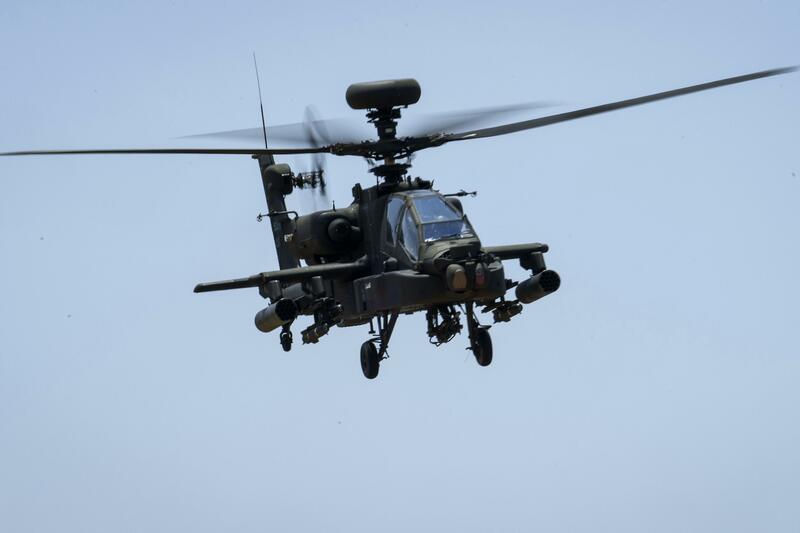 Authorities say two soldiers were killed Friday in an Apache helicopter crash at Fort Campbell, which is located in Kentucky. The crash took place at about 9:50 p.m. Friday, killing two soldiers with the 101st Combat Aviation Brigade, 101st Airborne Division (Air Assault), the military base said in a statement. It happened while the crew was conducting routine training. "This is a day of sadness for U.S. Army Fort Campbell and the 101st Airborne Division (Air Assault)," Brig. Gen. Todd Royar, acting senior commander of the 101st Airborne Division and Fort Campbell, said. "Our thoughts and prayers are with the Families during this difficult time." Officials said they will release the names of the victims 24 hours after notifying the next-of-kin.